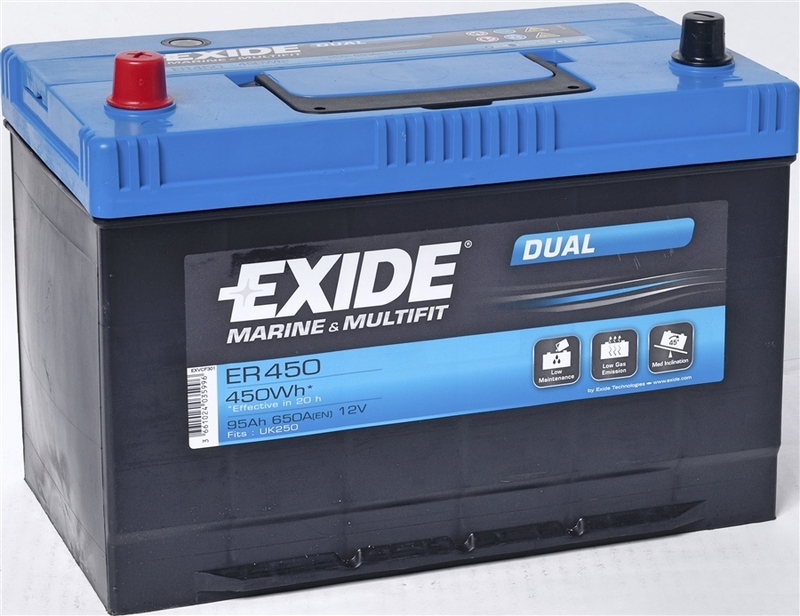 Exide DUAL battery range is designed to supply power for boats having one battery bank for all consumers. It is also suitable for additional batteries directly applied to electrical winches, thrusters and trolling motors. The batteries are partially discharged during use. This means that the DUAL’s reinforced design, together with a good recharging procedure, is key to providing the best result and service life duration. DUAL battery range, with Wh performance of 450Wh, is the choice to cover all dual supply needs for the most popular recreational boats. Includes a full 2 year warranty.